The Hadley Falls Dam on the Connecticut River, on the border of Holyoke and South Hadley, around 1900-1910. Image courtesy of the Library of Congress, Detroit Publishing Company Collection. 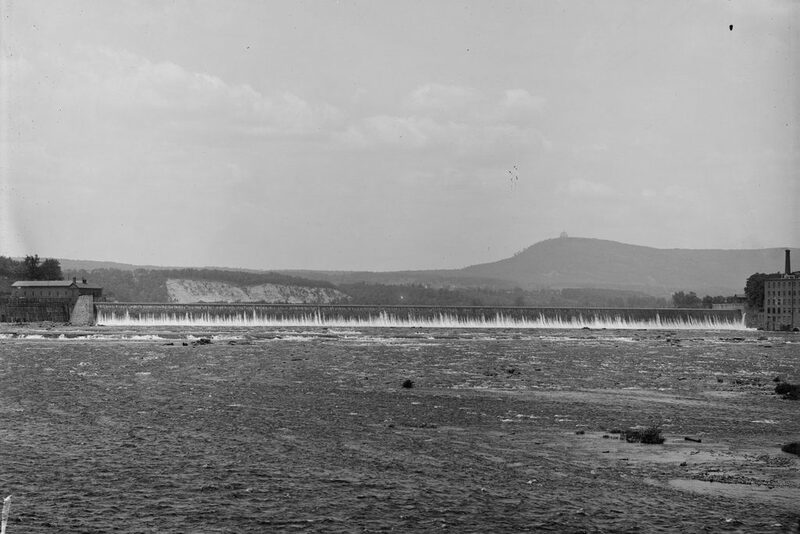 As mentioned in the previous post, Holyoke is the site of the largest waterfall on the Connecticut River, with a drop of 58 feet. 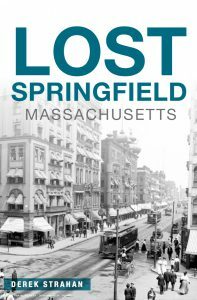 This made the location ideal for large-scale industrial development, and during the mid-19th century Holyoke was transformed into a prosperous manufacturing center. The first dam was built here in 1848, but it was poorly constructed, and it failed just hours after the gates were closed. However, a new dam was constructed the following year. It was built of wood, extending 1,017 feet across the river, and was 30 feet tall, with timbers that were firmly anchored four feet deep into the bedrock beneath the river. The dam was constructed in four sections, the south end and a center section just north of the drain channel being built up for a considerable height first. Then a coffer dam was built on the first level of the north channel, thus turning the water through the center channel, while a section of dam 5 feet high was constructed behind it. The coffer was then transferred to the center channel, and a section 10 feet high built in that opening. In this way the alternate sections were built in until the structure was complete. The cost of the entire work is said to have been between $600,000 and $700,000. Upon completion in 1900, the dam measured 1,020 feet across the river, and is said to have been the longest dam in the world at the time. The first photo was taken sometime soon after its completion, and shows water pouring over the top of the dam. 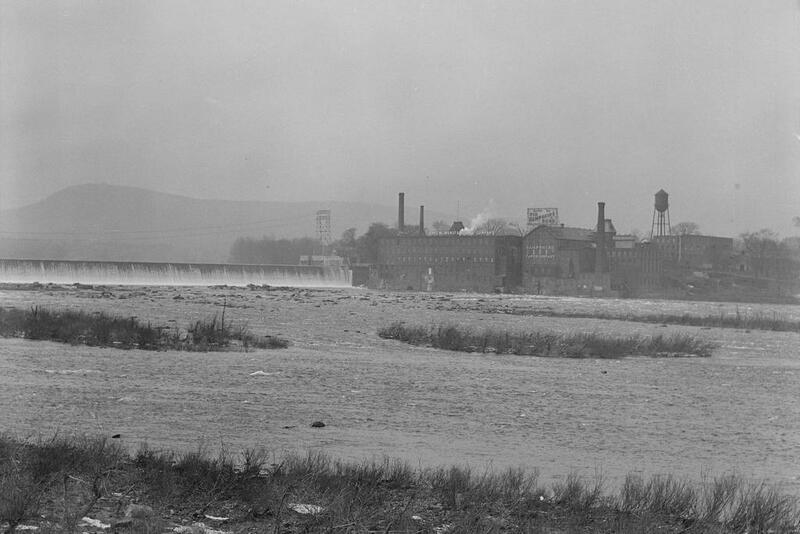 On the far right is part of the Carew Manufacturing Company, a paper mill that was located on the South Hadley side of the dam, and in the distance on the right side is Mount Tom, with the Summit House prominently visible atop the 1,202-foot traprock mountain. 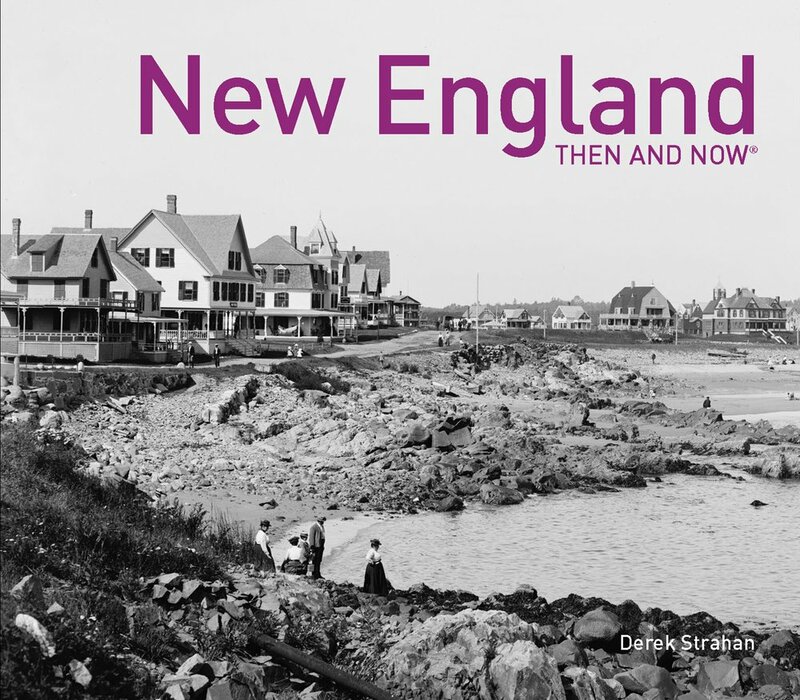 Today, more than a century after the first photo was taken, both the Carew factory and the Summit House are gone. However, the dam itself is still here, after having survived a number of major floods during the 20th century. Holyoke is no longer the major industrial city that it once was, but the dam and the canal system are still used to generate power. 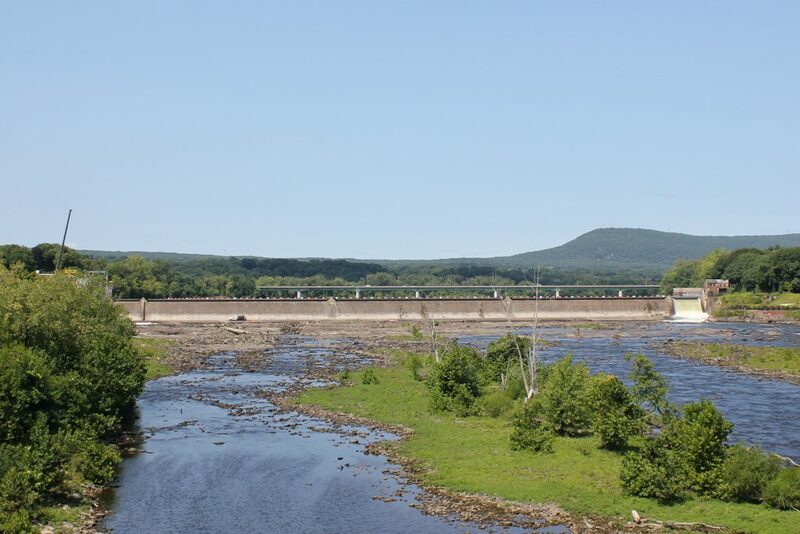 Both are now operated by the city-owned Holyoke Gas & Electric, with the hydroelectric generators here at the dam provide a significant portion of Holyoke’s electricity. The Hadley Falls Dam and the Carew Manufacturing Company, as seen from the Route 116 bridge over the Connecticut River on the border of Holyoke and South Hadley, in 1936. Image taken by Lewis Hine, courtesy of the U. S. National Archives. At over 400 miles in length, the Connecticut River is, by far, the longest river in New England, and flows north to south through the region, from the border of Canada all the way to Long Island Sound. It passes over a number of rapids and waterfalls during its course, the largest of which is here on the border of Holyoke and South Hadley, Massachusetts, with a drop of 58 feet. This is also the last major waterfall on the river, and throughout the colonial era it was a major obstacle to river navigation, requiring a costly 2.5-mile portage around the falls. This problem was partially solved in 1795, when a canal opened on the South Hadley side of the river. It was located on the other side of where the mill buildings stood in the first photo, and it was the first navigable canal in the country, predating longer and more famous ones like the Erie Canal by several decades. However, by the middle of the 19th century, railroads had replaced canals as the most important form of inland transportation, and the South Hadley Canal ultimately closed in 1862. With the decline of river transportation, along with the rise of industry, this waterfall began to be seen as a major asset, rather than as an obstacle. Industrial development began in the early 19th century, with mills on the South Hadley side, but the most dramatic change to this area came in the the middle of the century. 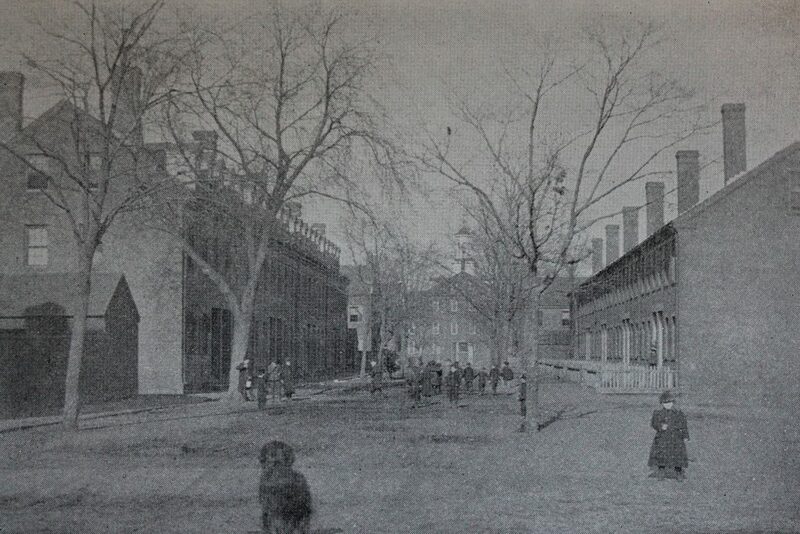 The west side of the river, once a part of West Springfield, was incorporated as Holyoke in 1850, and was developed into a major industrial center. This included the construction of a dam across the river, an extensive power canal system through Holyoke, and a number of large factory complexes. 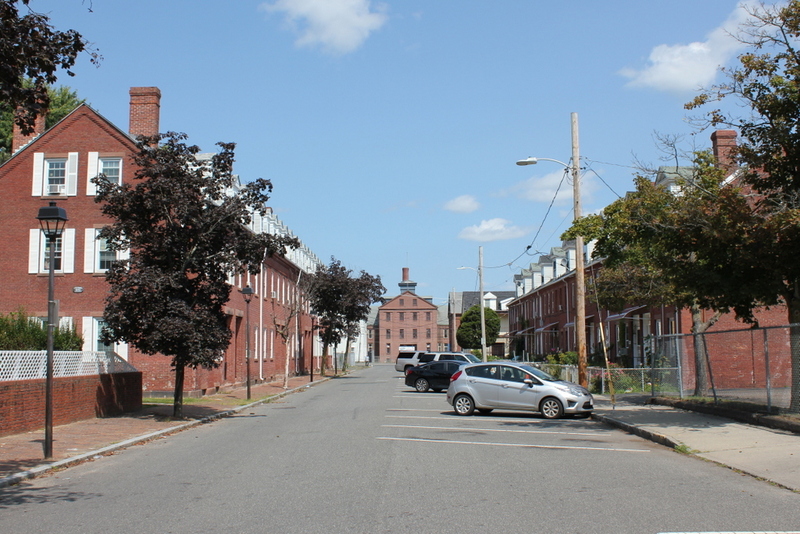 As a result, Holyoke’s industrial development quickly outpaced that of its older neighbor on the other side of the river. However, South Hadley continued to operate several factories of its own, including two paper mills on the right side of the dam. The one closest to the dam was the Carew Manufacturing Company, and was established in 1848. Its original factory burned in 1873, but it was subsequently replaced by the brick building in the first photo, and produced writing paper for many years. Just to the right of the Carew factory was the Hampshire Paper Company, which was built in the early 1860s and produced the well-known Old Hampshire Bond writing paper. As Hine mentioned in his description, the Hampshire Paper Company closed in 1935, and the property was acquired by the Carew Manufacturing Company. However, the old Hampshire mill was later owned by Stevens Paper Mills, Inc., and it stood here until it was demolished around 1970. In the meantime, the Carew mill was purchased by Texon in 1948, and it produced a variety of goods until it closed in 1986. 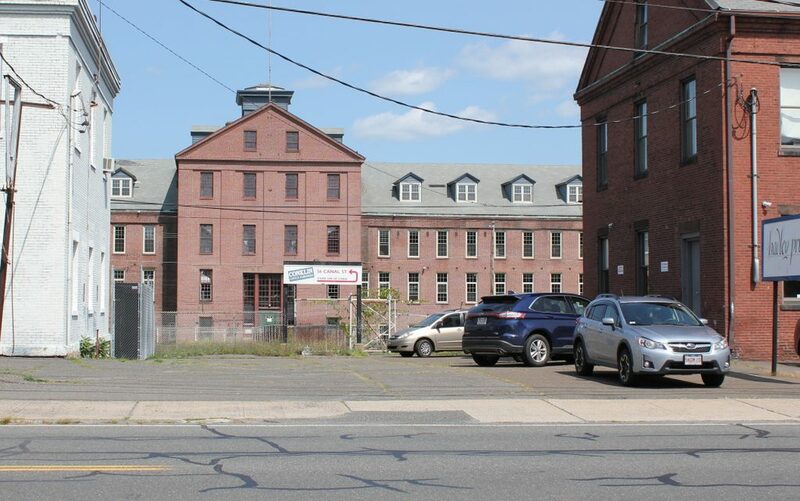 The property was later sold to Holyoke Gas & Electric, but the historic mill stood vacant for many years before finally being demolished around 2012. Today, all of the mills from the first photo are gone, but otherwise the scene is still easily recognizable from the first photo. 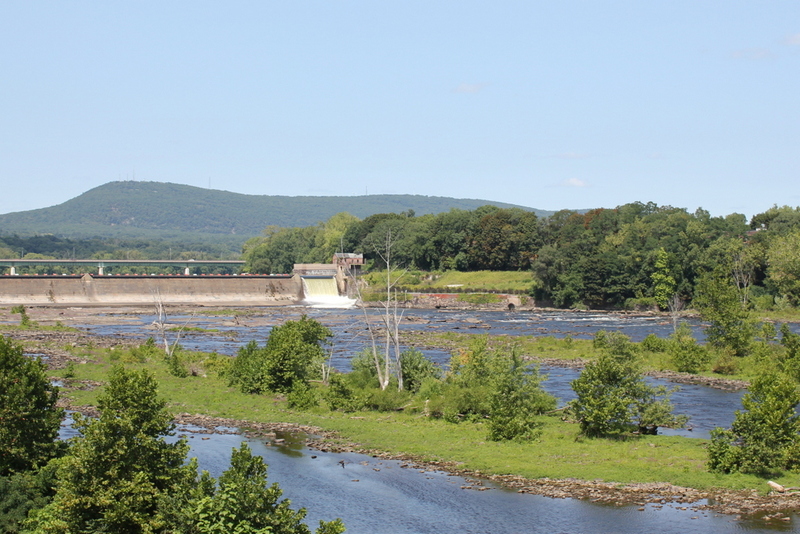 The dam, which was completed in 1900, is still there, and it still provides hydroelectric power for the city of Holyoke. Further in the distance, Mount Tom still forms the backdrop of this scene, although it now features a number of broadcast transmitters atop the 1,202-foot summit. These are hardly visible in the 2017 photo, though, and the only other addition to this scene is the Joseph E. Muller Bridge, which carries U. S. Route 202 across the river just upstream of the dam. 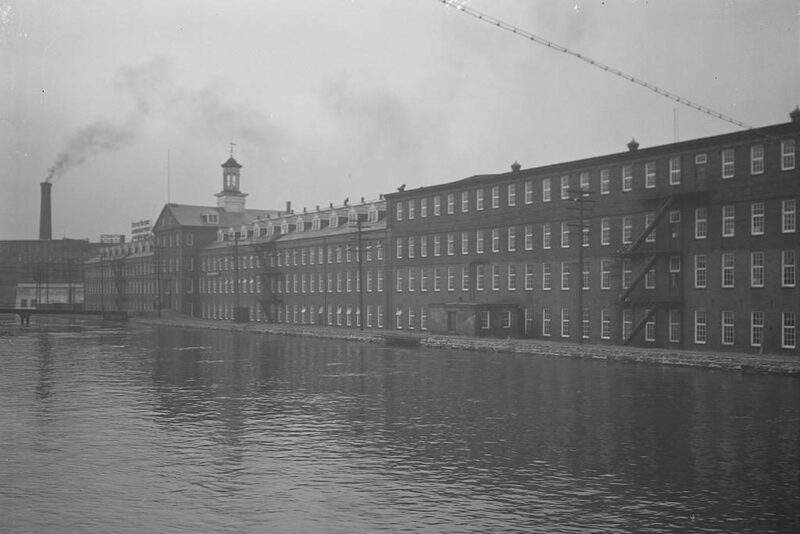 The Hadley Company Mills, seen from the Route 116 bridge over the Third Level Canal in Holyoke, in 1936. Image taken by Lewis Hine, courtesy of the U. S. National Archives. 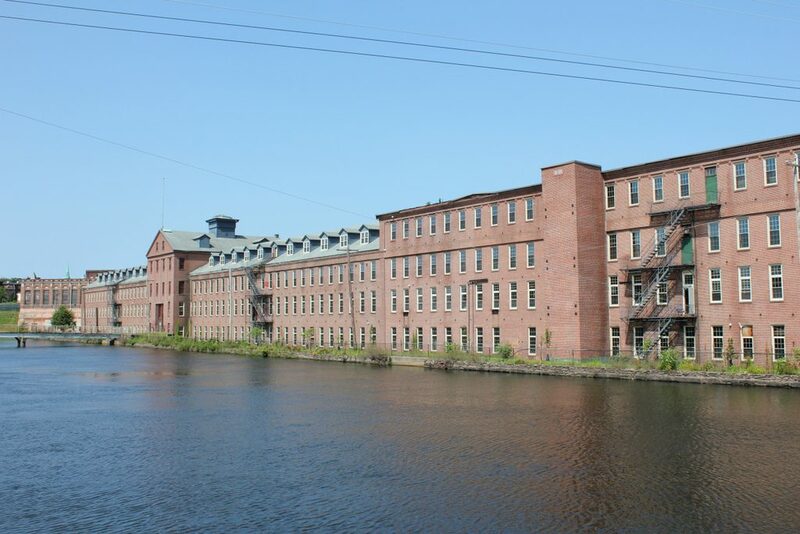 As mentioned in the previous post, this mill complex was built starting in the late 1840s, and was originally owned by the Hadley Falls Company, which was responsible for developing Holyoke into a major industrial center. The company built the dam on the Connecticut River, along with the extensive canal system that powered the factories, including the Third Level Canal, which is seen here. 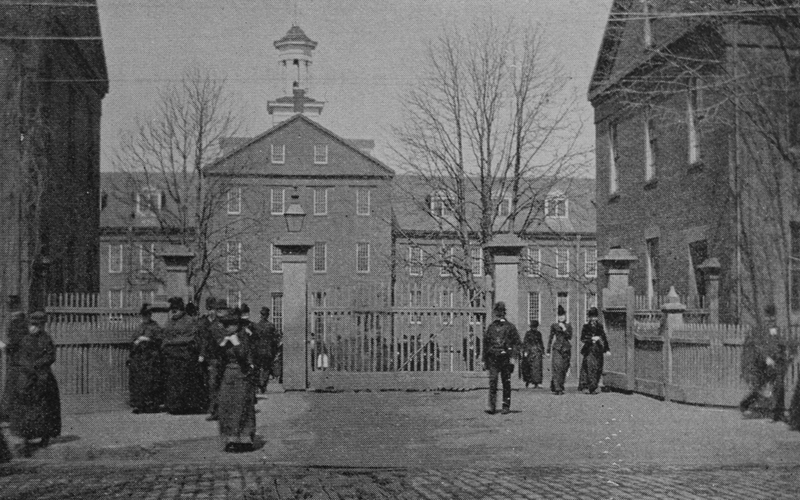 In addition, the Hadley Falls Company built a large group of worker tenement houses, directly across the canal from this factory. The canal system, along with many of the buildings that the Hadley Falls Company constructed, are still standing today. However, despite its profound influence in the history of Holyoke, the company proved to be very short-lived. The Panic of 1857, and the subsequent economic recession, hit the company hard, and in 1859 its assets were sold at auction. The company was literally sold for pennies on the dollar, with shareholders receiving just $1.32 for each $100 share, and its property was acquired by the Holyoke Water Power Company. By 1863, this mill complex was used by the Hadley Company, a thread manufacturer that produced a variety of threads, yarns, and twine. It is hard to tell when each section of the facility was built, but the part in the left side – with the gabled roof and dormer windows – appears to have been the oldest section. The section on the right side does not appear in an 1853 map of Holyoke, but it was added by 1870. However, the top two floors have a different shade of bricks, suggesting that they may have been added at a later date. The Hadley Company continued to produce thread here in this facility until 1898, when it was one of many thread manufacturers that were consolidated into the American Thread Company. It continued to be run as a division of American Thread for the next 30 years, but it closed in 1928, with about a thousand workers losing their jobs on the eve of the Great Depression. The first photo was taken only about eight years later, by prominent photographer and social reformer Lewis Hine. He documented life across the country during the Great Depression, including a visit to Holyoke, where he photographed a number of mills and their employees. 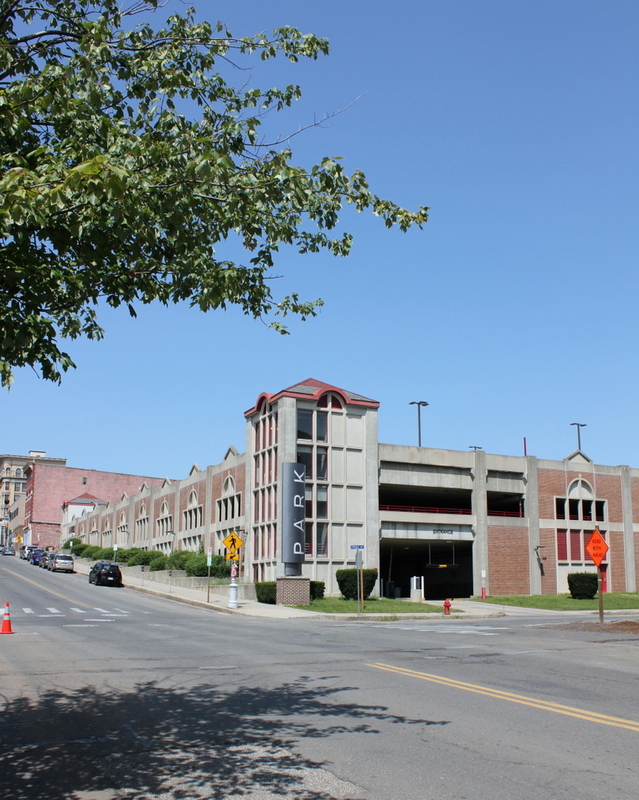 By the mid-20th century, the former Hadley Company mills were the home of Graham Manufacturing Company, which was later acquired by Johnson & Johnson. Today, the mill buildings on the property have several different owners, but the main building here on the canal has not seen many changes in more than 80 years since the first photo was taken. 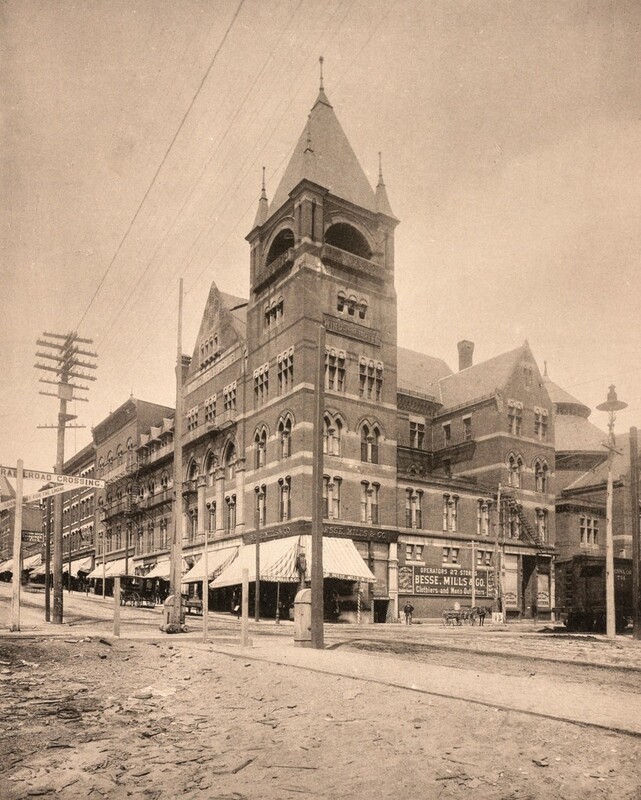 Overall, the only significant alterations to the exterior have been the loss of the cupola and the addition of what appears to be an elevator shaft, just to the left of the fire escape on the right side.